My contribution for the 2017 Jamaica Biennial was an immersive installation that included two Sculptures that included video and sound. Click the video below for an installation view. 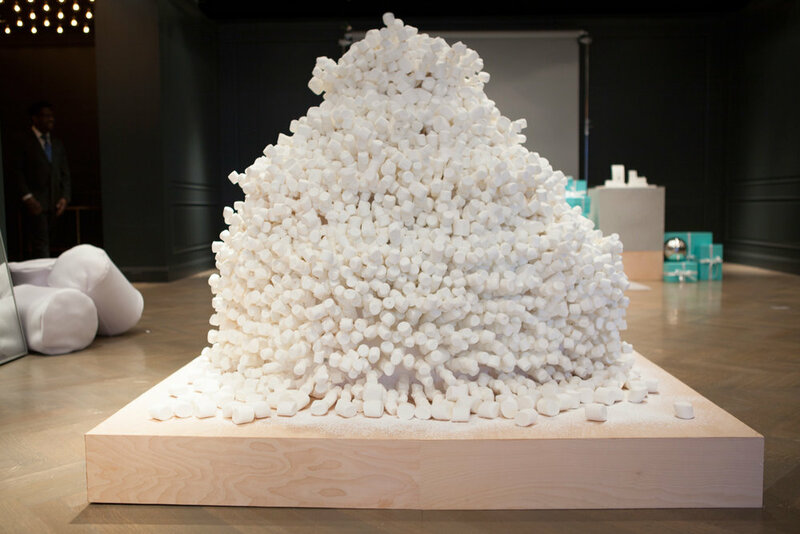 Site Specific Installation for Negotiated Realities – a group exhibit at Columbia University – curated by Daniela Fifi in partnership with The Museum of Impact. FORUM IV, 2016. Excerpt of Installation View. Installation with HD video, single channel audio, B&W; 2 min., 40 sec. Gold Paint on Drywall Joint Compound, Marble Pile. Dimensions Variable – Black Room – 7ft. x 14ft., Gold Disc – 6ft. in diameter. Selected Images from FORUM – a solo exhibit at NLS Kingston, March 2016. Kingston, Jamaica. Photographic C-Print on Kodak Endura Paper – 36 x 24 in. 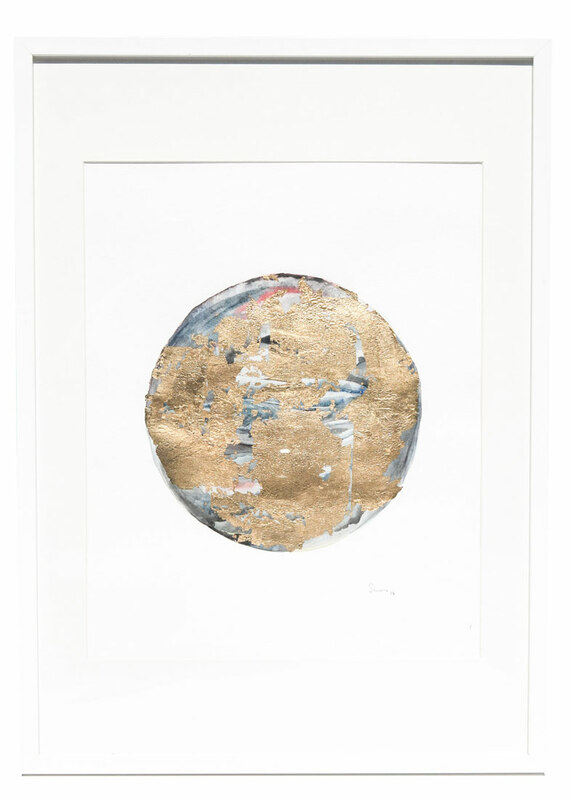 Assemblage – Concrete, Steel, Gold Leaf. Dimensions – Variable. 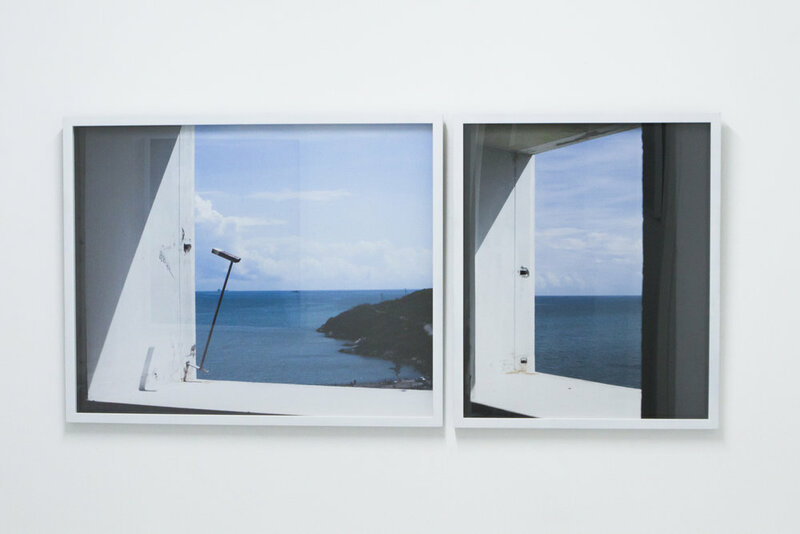 Window II (Diptych), 2016. Installation View, "FORUM" at NLS Kingston - Kingston, Jamaica. Photographic C-Print on Kodak Endura Paper – 24x 36, 24x19 in. Photographic C-Print on Kodak Endura Paper – 24x 36 in. FORUM III, 2016. Installation View. House Paint and Gold Leaf on Drywall Joint Compound, Marl stone. 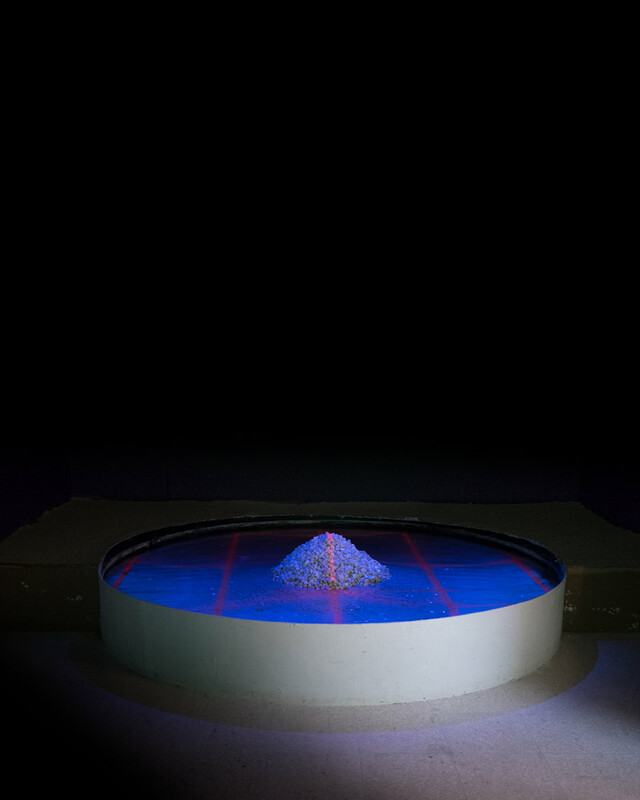 Dimensions Variable, Structure - 12 ft. x 6ft. x 10ft., Gold Disc – 6ft. in diameter. FORUM III, 2016. Installation View, Day and Evening. In collaboration with Food Artist Laila Gohar.